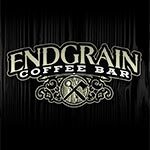 Endgrain Coffee opened in April of 2015 and earned Best of South Jersey a year later. We source and roast all of the coffee for the cafe specializing in Single Origin beans from around the world. We were the first to have a Nitro iced coffee tap in south Jersey and are constantly working to create new and fun coffee based drinks for our customers. We have a great relationship with Alaura Kitchen that does a signature Endgrain Espresso Ice Cream and Kelly Green Brewing that brews an Endgrain Coffee Porter.